iThemes Builder lets you create WordPress sites quickly and easily by creating your own layouts. 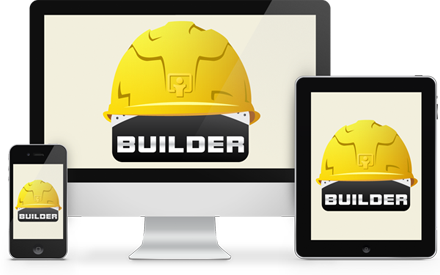 Builder uses responsive design, so your site will respond to different screen sizes like phones and tablets. Our newly-updated Foundation Series themes are now fully-responsive, and pave the way for future mobile responsive theme designs. 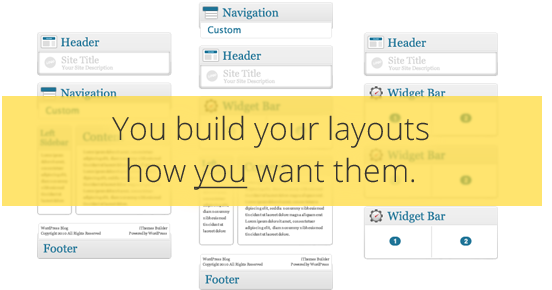 The power of Builder starts in the layout editor. Choose from the building blocks of a great web site by inserting modules: header, images, navigation, content area (with or without sidebars), widget bars, HTML areas, and a footer. Complete flexibility without code. 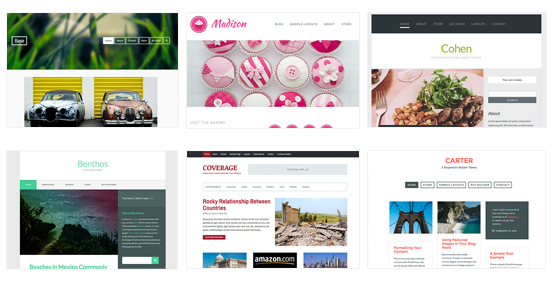 Themes provide structure, typography, and a range of color palettes to get you started. You're sure to find an option for every project. Or create your own. And they're all included when you buy the Builder Developer Pack. Not a coder? iThemes Training can help with that. But if you want to change the background, try a different font, or match the theme to the colors of your brand, Builder's Style Manager plugin can help you do it fast and without touching the code. Blocks are special functionality add-ons for specific content types. Restaurant Block lets you make a menu of food items and add locations and directions to your site. Events Block lets you create events and calendars. Our support staff is there to help you get started using Builder. The Builder community members help each other out too. Most of our support forum moderators started as avid iThemes customers. We also have tutorial videos and walkthroughs on our YouTube channel. iThemes has been around since 2008 and we'll be here to innovate and grow with your business. We've grown significantly since Cory started the business in his home. We have an office in Edmond, Oklahoma and employees around the world working hard to make your life easier. We're real people who have a lot of fun working together, building tools to help you build awesome web sites.